Summer is right around the corner. Can you feel it? The wind in your hair, the sun on your face … No? Maybe that’s because you haven’t cut loose and bought yourself that convertible you’ve always been dreaming of getting. There is no better time than summer 2016 as, nearly 50 years after its first introduction to the world, the FIAT® 124 Spider makes its return to the U.S. market. As they continue to expand their brand on American roadways, FIAT has produced a modern spark to the iconic Spider. The turbocharged MultiAir 1.4L engine provides 160 horsepower and 184 lb-ft of torque for a spirited ride. Combine it with double-wishbone front suspension, rear multi-link suspension with stabilizer bars and a 54/46-weight distribution for enhanced handling and you’ve got an afternoon of fun that just can’t be beat. Perhaps the best part it, having some fun in the sun won’t cost you an arm and a leg. 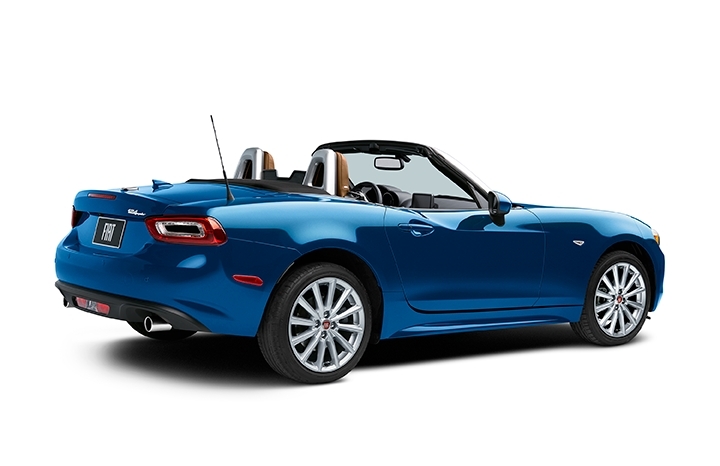 Manufacturer’s suggested retail price (MSRP) in the United States will start at just $24,995, making the FIAT 124 Spider the most affordable turbocharged convertible in America. And to top it off, so to speak, it even earns up to 36-highway mpg, so you won’t go broke at the pump. To truly celebrate its return, the first 124 vehicles will be offered as Prima Edizione Lusso (premier editions). Each of the 124 limited edition Spiders will be individually numbered and available exclusively in Azzurro Italia (that’s blue to you and me) with premium leather seats. You might expect that, given there will only be 124 in existence, owning one of these little beauties would break the bank. Not so! The 2017 FIAT 124 Spider Prima Edizione Lusso will have a U.S. MSRP of $35,995, including the destination charge. Are you ready for some summertime fun? Learn more about the FIAT 124 Spider and sign up for updates at www.fiatusa.com/en/spider.